Updated Thursday March 7, 2019 by Joe Camarda. What a great night for RPYSC. 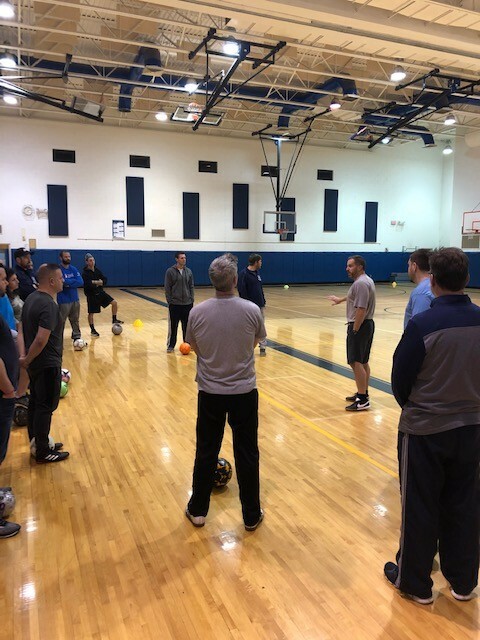 We would like to thank all of our coaches for attending the United Soccer 4v4 Coaches Course on February 26, 2019. We had 20 coaches in attendance and our instructor Mike did an amazing job. The club would like to say thank you to all the coaches for your interest in becoming a coach with in our soccer club and to fulfill our mission by inspiring our boys & girls to use youth soccer as a lifetime activity. Thank you and have a wonderful soccer season!